When shopping for international flights, you may have seen the exorbitant fees and fuel surcharges that accompany a British Airways ticket. You could end up spending hundreds or thousands of dollars on these additional fees, not including any money you already spent on the ticket! 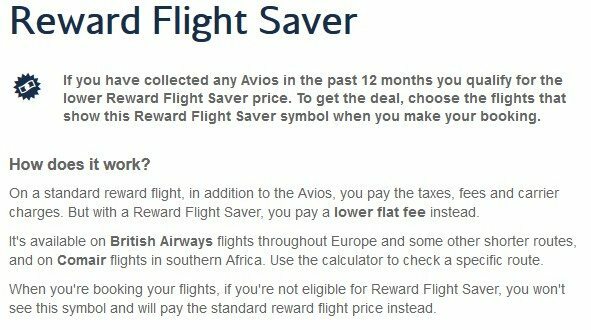 Even if you use your British Airways points (known as Avios), these charges could negate the whole point of redeeming Avios for British Airways reward flights. 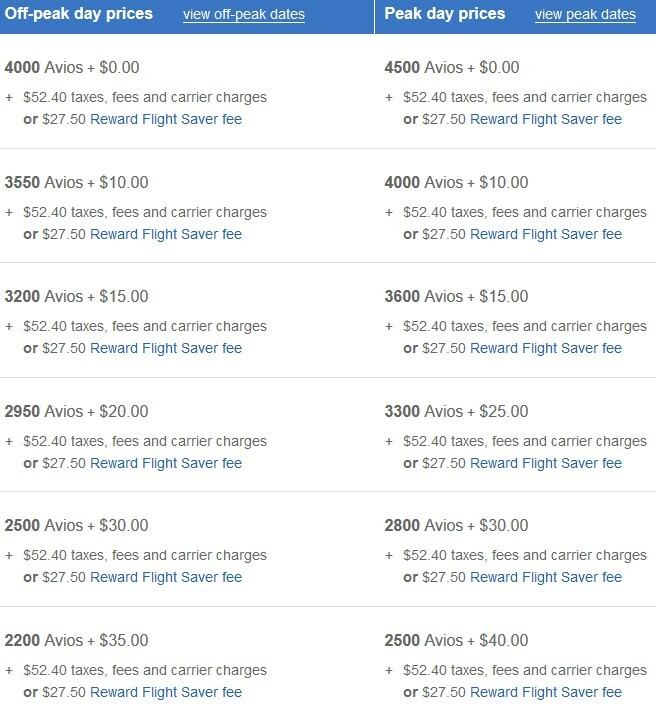 Luckily, it is possible to redeem Avios for reward travel without spending your money on these ridiculously high fees. You’ll avoid high taxes and fuel surcharges when you focus on flights operated by a British Airways’ airline partners. How Much Do British Airways Avios Award Flights Cost? What Is Reward Flight Saver? What Is Avios & Cash? Low Cancel Fees = Flexibility! It’s possible to earn Avios directly with the British Airways Visa Signature® Card. You’ll earn 3x Avios for all flight purchases through BA and 1x Avios for everything else. You can also use a flexible travel rewards card and transfer points from Chase Ultimate Rewards and AMEX Membership Rewards. After you earn Avios in any of these ways, you can decide whether or not to transfer Avios to partner programs or keep them for redemptions on British Airways flights. The best value is often achieved when transferring Avios or using them to redeem flights operated by partner airlines. British Airways partners with all of the OneWorld Alliance participating airlines as well as a few other transfer partners. British Airways is a member of the Oneworld Alliance, so you’ll be able to earn Avios each time you fly with one of their partner airlines. Transferable also to many other airlines and hotels! Bottom Line: You’ll earn lots of British Airways Avios by collecting Chase points. Plus, you’ll have so many other options for using these points. We recommend this strategy vs signing up to a BA card which are far more restrictive and risky. You can also earn BA Avios with Membership Rewards! There is a 1:1 transfer ratio for points to British Airways Avios, and there are over 12 different credit cards you can use! Grab any of the below to start earning points and transfer Membership Rewards points to British Airways. You can also earn Marriott points with their co-branded credit cards and transfer those to British Airways at a transfer rate of 3:1. For every 60,000 Marriott points that you transfer, you’ll receive an extra 5,000 BA Avios bonus. For more details, you can read our article on transferring Marriott points to partners. Let’s dive in, starting with using your Avios for very short flights which is one of the most valuable ways to use your points! Use your British Airways Avios to book short flights within the U.S. for just a few miles! U.S. domestic nonstop flights under 1,150 miles on American Airlines and Alaska Airlines cost only 7,500 Avios. Even better, only $5.60 tax is added to the flight. A bargain! Using American Airlines or Alaska Airlines miles instead, these nonstop flights cost 12,500 miles. Hot Tip: To maximize U.S. domestic Avios awards, look for nonstops from American Airlines and Alaska Airlines hubs in New York, Philadelphia, Charlotte, Miami, Chicago, Dallas, Phoenix, Los Angeles, and Seattle. American Airlines has fantastic 50,000-Avios transcontinental first class on specially configured 3-cabin planes. 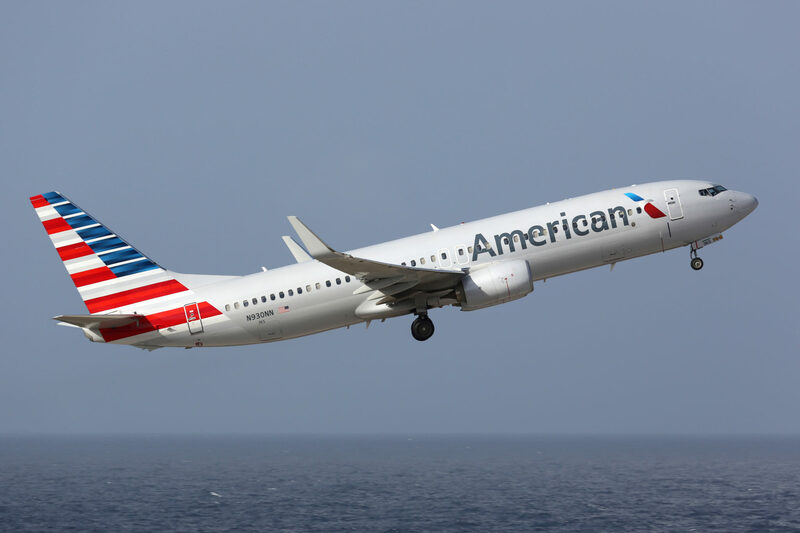 These awards are hard to find, and American Airlines has been experimenting with variable award pricing way above 50,000 miles for its own AAdvantage awards. If you can find availability, 50,000 frequent flyer miles is a great option to splurge on this celebrity-heavy route. 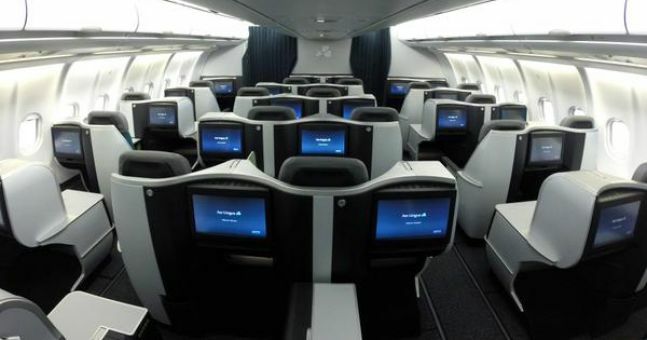 Business class is 37,500 Avios, which is more than the 32,500 miles American Airlines charges. Note that when you are flying in business or first class, you get to use the American priority check-in lanes, which are much quicker than going through the kiosks! Cross the U.S. in style on American Airlines transcontinental service. Spending Avios for short-haul international flights is a steal! American Airlines runs multiple daily flights between New York, Toronto, and Montreal. From the U.S., these are 7,500 Avios + $5.60 in taxes. Flying from Canada the taxes are much higher, so compare to the price of cash tickets. American Airlines flies between Los Angeles and Vancouver, too! From the U.S., these are 7,500 Avios + $5.60 in taxes. Taxes are usually higher if you’re flying from Canada, so remember to compare to the price of cash tickets. Hot Tip: Avios award tickets on American give you Priority Access, which is priority security and boarding privileges. You can also get these with credit cards like Citi / AAdvantage Platinum Select MasterCard. 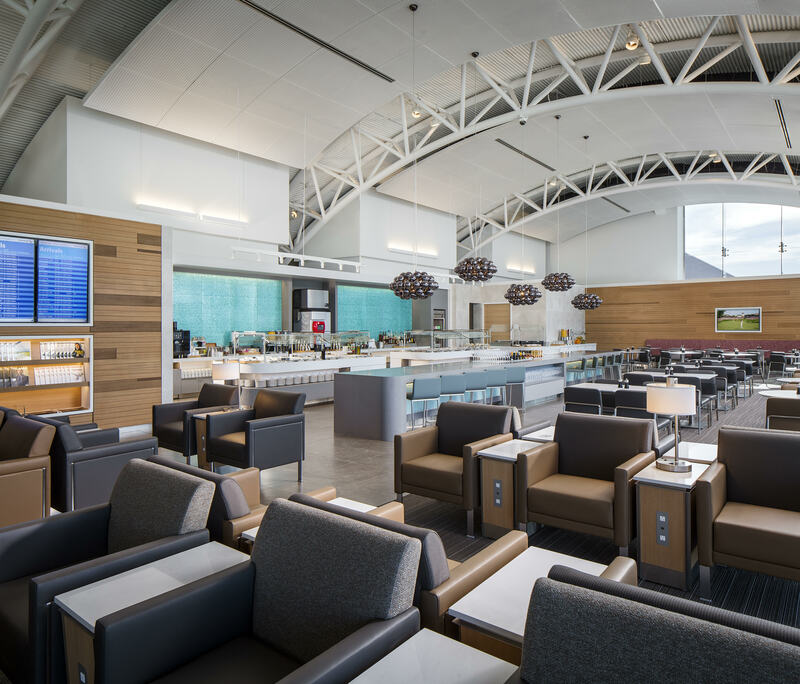 If you use the Citi / AAdvantage Executive World Elite MasterCard you can even get Admirals Club access. American’s hub in Miami feeds many Caribbean islands, all for 7,500 Avios + $5.60. Like Canada, the return flights have higher taxes so always shop around. Getting a travel reward to Latin America for only 10,000 Avios is a bargain! For 12,500 Avios from Miami, you can go to Lima too! Dallas to Mexico City is only 7,500 Avios. Phoenix or Los Angeles to Mexico is just 10,000 Avios. Hot Tip: Noticing some sweet spots coming in under 10K Avios? Check out what else you can do with 10,000 (or fewer) BA Avios! Hawaii might as well be a different country considering how different it is from the mainland U.S. There should be no problem spending Avios to get there! 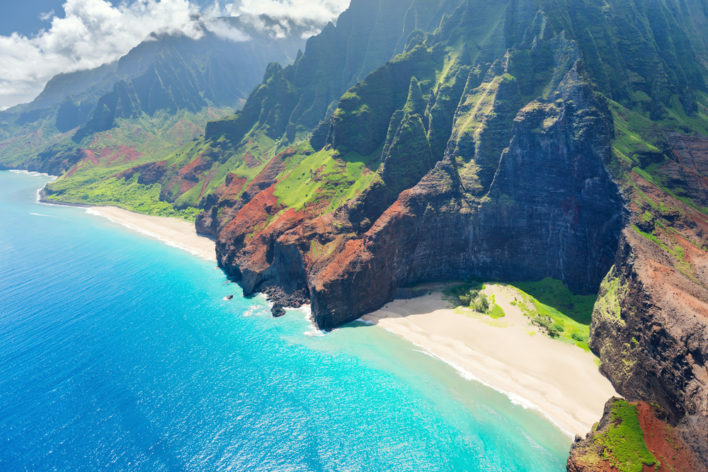 Spending Avios on a one-way direct from the West Coast to Hawaii on American Airlines or Alaska Airlines is one of the least expensive ways to get to Hawaii. Flights only cost 12,500 Avios each way in economy class. Most of these routes are on traditional domestic U.S. planes, so don’t expect a lie-flat seat up front. Consider splurging for business class to other destinations instead. Japan Airlines offers a very nice first class experience, and you won’t even need to pay excessive taxes and surcharges when you book with your British Airways Avios! Generally, Avios are not the least expensive currency to use for long-haul flights, but Los Angeles to Tokyo is actually a pretty good value. This flight puts you in the 25,000 Avios distance bracket for economy flights. Plus, Tokyo’s a fantastic destination to cross off that bucket list. Don’t forget to always check taxes on these tickets; this one should run you less than $35 each way. You can fly this same route in business class for 75,000 Avios or first class for 100,000 Avios. These aren’t the best premium cabin redemptions out there, especially if you are looking to connect on to a further destination (since British Airways charges separately for all flights), but it’s not a bad option if you want to experience Japan Airlines or American Airlines business or first class. With the December 2016 launch of Aer Lingus AerClub, British Airways moved Boston 14 miles west on its Avios award chart. The famous ultra-cheap Boston to Dublin award is no more. British Airways has introduced new Peak and Off-Peak pricing for Aer Lingus awards. The Avios pricing is the same as for British Airways flights, however the peak and off-peak dates are different. You’ll still save big on fees compared to British Airways flights. Aer Lingus award flights still do not appear in the British Airways flight search engine. This may be rectified over time as British Airways finishes integration of Aer Lingus into Avios. Until then, you can find Aer Lingus awards at Avios.com or the United Airlines website, but know that award inventory on both those sites does not always match award inventory seen by British Airways. Call British Airways book the flight when you want to redeem your Avios, and don’t forget to ask the British Airways representative to waive the phone booking fee. Hot Tip: Aer Lingus AerClub members and existing Avios.com members can now book Aer Lingus award flights on Avios.com. The problem? Additional fees are imposed that are not charged when booking through British Airways, so if possible, call British Airways to book. The unique layout of the business class on Aer Lingus is a great way to fly to Ireland. Image courtesy joe.ie. Aer Lingus also flies to Los Angeles, San Francisco and Orlando. Plus, Miami flights to Dublin start in September 2017 and can be booked now. Off-peak these all cost 16,250 Avios in economy. Business is steep at 62,500 Avios. Save 3,000 Avios off the regular price of 20,000 Avios by checking for off-peak dates. Economy class tickets add $128 in fees. Business is only 34,000 Avios, but adds a whopping $456 in fees! Save 3,750 Avios off the regular price of 25,000 Avios in economy, plus $128 in fees. Business is only 42,500 Avios, but you’ll pay $456 in fees! LATAM’s lie-flat service to Easter Island. Image courtesy LATAM. Getting to Easter Island is usually pretty expensive. Searching in January 2017, the least expensive round-trip flights were around $850. Considering this redemption would only cost 12,500 Avios each way for economy tickets, you can get some great value out of your miles on this route! The difficulty is finding the award redemption space. You can also try the seasonal Lima-Easter Island flight. Unfortunately, finding LATAM flights through the British Airways website can be difficult. Try searching different days of the week to find LATAM flights. If that doesn’t work, you can try searching on LATAM’s website under LATAM Pass. Sign up for membership if you haven’t already, then search for your desired dates. You will get a calendar of options for your ticket to select the best redemption. Remember that LATAM uses the metric system, so don’t be alarmed by the number of kilometers needed for their rewards flights. When you call British Airways to book the flight using your Avios, make sure you mention this conversion! Find award travel on LATAM’s website under “LATAM Pass.” Note that fares are listed in kilometers instead of miles. Not every travel reward has to be expensive; see breathtaking Iguazu Falls on the cheap with this 10,000 Avios redemption. Visit the Falkland on this weekly flight. Award availability is hard to find, but imagine the excitement if you get it! Short-haul Europe flights in business start at 9,000 Avios + $40. Compared to economy at 4,500 Avios, for only 4,500 Avios more you can experience the British Airways Galleries Lounge. Show up early! Relax in the British Airways Galleries Lounge at London Heathrow. Image courtesy British Airways. Travel in first class or Club World (excluding Europe flights) grants access to the Elemis Spa and includes a complimentary 15-minute treatment. Fly British Airways first class with a companion without paying more miles using the Travel Together Ticket earned via spending on their co-branded credit card. Fuel surcharges are going to be significant if you want to fly British Airways in first class, but using your miles is still a great way to access a ticket that would otherwise cost $5,000 or more one-way. This is especially true if you can pair your redemption with a Travel Together Ticket, which is earned by spending on a British Airways co-branded credit card. A one-way award ticket from London to Chicago will cost between 68,000-80,000 British Airways Avios (depending on peak or off-peak dates). You can expect the fuel surcharges and taxes to be around $700-$1,000 in each direction. Now about that companion ticket. You’ll first need to get the British Airways Visa Signature® Card and spend $30,000 in a year in order to earn the Travel Together Ticket. It’s not an upgrade voucher but rather a buy one, get one free type ticket. Once earned, the Travel Together Ticket will let you take a companion on any British Airways mainline flight originating in and returning to the United States that you have booked with miles. The companion will be booked in the same class as the original ticket (yes, even first!) and will only need to pay taxes, fees, and carrier charges. Need help booking? Read our in-depth guide on booking British Airways first class or business class using points. Short-haul nonstop flights 650 miles and less on Finnair out of Helsinki cost only 4,500 Avios each. Unfortunately, cash surcharges are high. Flights between 651-1,151 miles are 7,500 Avios, which will cover much of Europe. While Finnair sticks to standard partner award pricing, Iberia operates under its own award chart and peak and off-peak pricing that starts at 5,000 Avios. Finnair’s new international lounge in Helsinki has an all-day sauna! Great design and food complement the experience. You need to be on a non-Schengen area flight, such as London for 15,000 Avios + $61.30. British Airways has its own lounge in Helsinki, so if you are flying them you can only access the Finnair Lounge if you have OneWorld Sapphire or Emerald status. Other short-distance options are Moscow and Tel Aviv. Both Finnair and Japan Airlines fly Helsinki to Tokyo with great economy class cabins. Both are 25,000 Avios, and the taxes and fees amount to $160.36 or £126.70. Madrid to Tel Aviv on Iberia is only 11,000 Avios off-peak, or 12,500 Avios the rest of the year. Madrid to Senegal on Iberia is only 10,000 Avios off-peak, and 11,000 Avios the rest of the year. Africa flights can be really expensive, so this can be a fantastic value. British Airways partner S7 has flights around Russia. There are no fuel surcharges, so every Russia domestic flight is only charged Avios + $6.99. Russia is a huge country, so some flights cost a lot of Avios, but Moscow to St Petersburg is only 4,500 Avios + $6.99. Even better: some international flights are charged Avios + $0.00! S7 has flights from around Europe, the Middle East, and Central Asia to Russia. Moscow to Munich is only 10,000 Avios and $0.00! Qatar Airways’ lavish Al Safwa First Lounge is open to you for 18,000 Avios on short flights from Doha, such as to Kuwait City (KWI). Taxes and fees are usually under $50. Sampling the Al Mourjan Business Lounge only requires a business class ticket costing 9,000 Avios. Note that Avios award redemption tickets are not eligible for the new 96-hour free Qatar transit program, since an eligible ticket must be issued directly by Qatar Airways. Regardless, many nationalities are eligible for a Qatar visa on arrival if you want to visit Doha. Royal Jordanian is another British Airways partner, though its lounges in Amman are nowhere near as lavish as Qatar Airways in Doha. 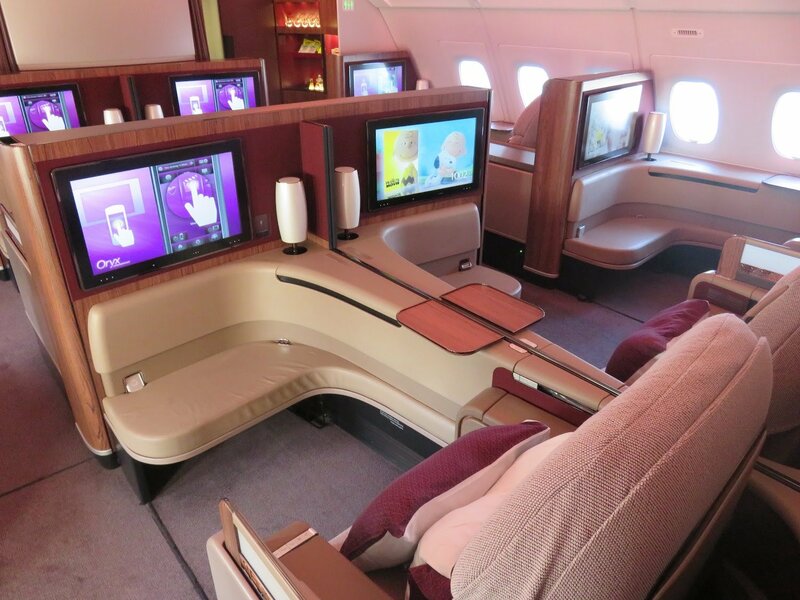 Relax in the Qatar Airways first class cabin, which includes a bar too! Image courtesy Qatar. Many Middle East destinations are under 650 miles from Jordan or Qatar, meaning these flights are just 4,500 Avios in economy nonstop. Taxes and fees are usually under $50. Hot Tip: Mixing Royal Jordanian and Qatar on the same ticket can be expensive due to multi-carrier pricing. Instead, book separate Avios tickets for each. Qatar flies a fifth freedom route between São Paulo (GRU) and Buenos Aires (EZE), a flight of 3 hours, this is 15,000 Avios in business class. Both cities have multiple airports so make sure to search GRU and EZE. Brazil does not allow fuel surcharges so the cash portion of the award ticket will be much lower if flying São Paulo to Buenos Aires than flying Buenos Aires to São Paulo. Comair is part of British Airways, and even lets you get off-peak Avios pricing! From their Johannesburg base, you can fly to Victoria Falls, Zimbabwe or Livingstone, Zambia for 4,500 Avios + $44. Off-peak is just 4,000 Avios in economy or 7,750 in business. Fly in to one city and out of the other to experience mighty Victoria Falls from both countries. Namibia is a hot destination for its towering sand dunes and spectacular self-drive safaris. On Comair, you can get there for 7,500 Avios + $44 in economy class, and off-peak is only 6,500. Rest up from your safari at a resort on Mauritius! This 4-hour flight in business is only 17,000 Avios + $50 off-peak. Peak season it only goes up to 20,000. British Airways doesn’t determine peak by hemisphere, so December summer on the beach is off-peak! 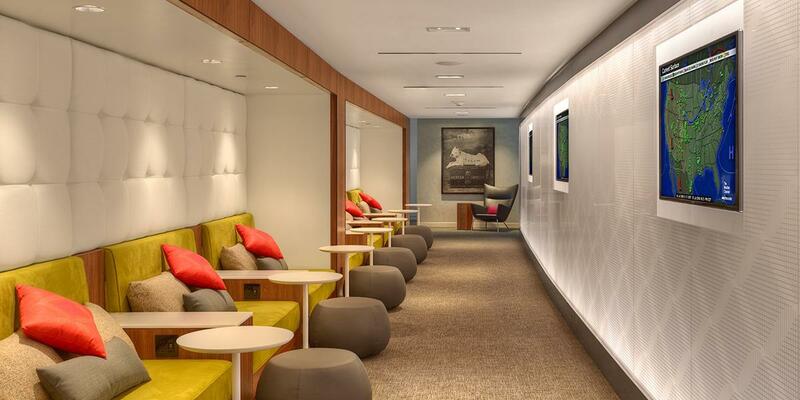 Cathay Pacific’s lounges The Pier and The Wing in Hong Kong are justifiably loved by travelers. First-class passengers are ushered into exclusive sections. 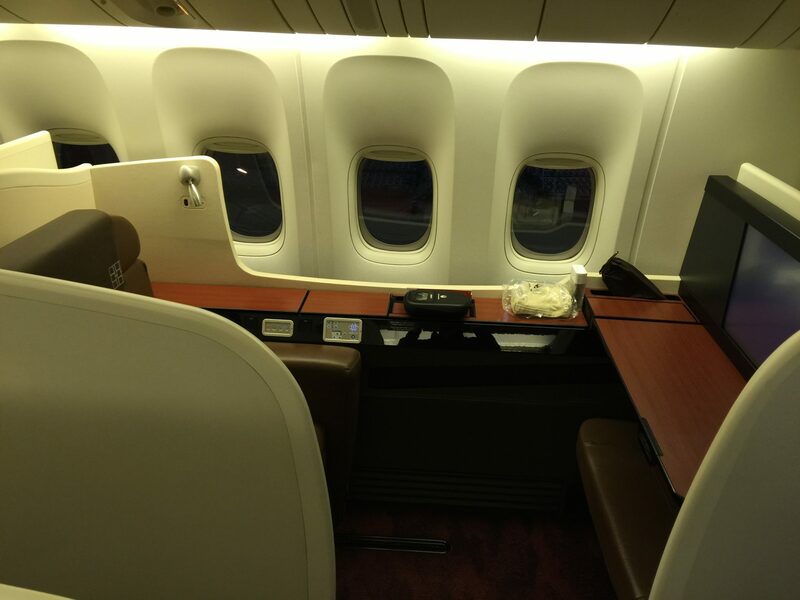 On short flights like Hong Kong to Taipei, most flights do not have first class (only business). However, if you hunt around on different dates, you can find flights using 3-cabin aircraft with first class for 18,000 Avios. Look for short Cathay Pacific flights to sample their luxurious first class lounges. Otherwise, business is only 9,000 Avios, and gets you a seat at the Noodle Bar in The Wing’s business class section. Hot Tip: Cathay Pacific has an Arrival Lounge in Hong Kong open 05:30-00:30 daily, so fly in on business or first and enjoy! Nonstops on Malaysian Airlines are usually 4,500 Avios in economy, and taxes and fees are usually small. Malaysian does not have the kind of fantastic lounges that are a destination in themselves, so business or first for short flights may not be worth the extra cost here. Flights in Southeast Asia are often so cheap that you always want to shop around, especially if there is a nonstop flight you can use instead of connecting on Malaysian. Once the flight crosses a distance threshold, the cost will increase to 10,000 Avios. For example, a non-stop flight from Kuala Lumpur (KUL) to Bali-Denpasar (DPS) is 10,000 Avios. 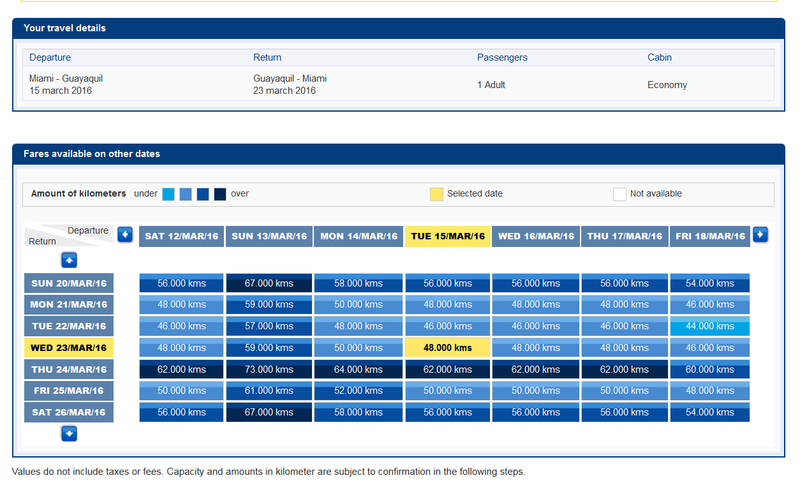 Colombo to Maldives is 4,500 Avios + $94.63. There are lots of cheap tickets from around the world to Colombo, and from there it’s just a short hop to the Maldives on SriLankan. The lounge at Colombo is not fancy, so take the 1.5 hours in economy and save your Avios. SriLankan also flies to Seychelles, which is a 4-hour flight that costs 10,000 Avios + $163.45. Most Japan domestic flights on Japan Airlines go for 4,500 Avios + $2.67. Tokyo to Okinawa is 7,500 Avios. Hot Tip: Japan Airlines domestic flight upgrades to premium economy Class J at the airport are 1,000 Yen, which is about $9! You can do this at airport check-in. Enjoy the sophisticated Qantas lounges. Image courtesy Qantas. Qantas domestic business class is among the best in the world. Qantas lounges are in many Australian cities, and they rival the best international business lounges. What’s more, even on relatively short flights you often get full meal service. Sydney to Melbourne is only 9,000 Avios + $12.89. The Melbourne-Perth route, a flight of about 4 hours, often has the Airbus A330 or Boeing 787-9 on the route with lie-flat first class. This is 20,000 Avios (economy is 10,000 Avios). Be sure to select a flight with one of these plane types. Other flights can have the regular Boeing 737. Be aware that equipment swaps can happen due to operational needs and it is a not required of Qantas to put you on the plane type you booked, though they may help out if you contact them. Spending Avios is a little more complicated that using some other airline miles. Find out more in this detailed guide. Now that we’ve listed the best ways to use Avios, let’s talk about some other details. British Airways Executive Club is significantly different from traditional airline frequent flyer programs. By learning how spending Avios works, you can have fantastic travel experiences! Traditional airline award charts are priced by geographic region, meaning the miles price is fixed regardless of distance or flight connections in that region. This gives you the traditional 25,000-mile U.S. domestic round-trip award ticket familiar to many travelers. British Airways has a distance and segment-based award chart, and understanding it is crucial to get value from flight awards. Each Avios award redemption is priced by distance for each segment of a trip; prices add up fast! New York to Chicago nonstop, for example, is 7,500 Avios. If no nonstop is available and you need to connect in Cleveland, the price doubles to 15,000 Avios since each segment is priced separately. New York to Cleveland is 7,500, and Cleveland to Chicago is another 7,500. Avios charges you for both! British Airways no longer publishes an award chart. Instead, use the official Reward Flight Calculator. British Airways flights have peak and off-peak prices (check dates here). Iberia flights have peak and off-peak prices, and differ slightly from British Airways flights. Single-partner awards are always at peak price. Multi-partner awards are priced by total trip distance. Hot Tip: Flights under 650 miles are 4,500 Avios, except in North America where they are 7,500 Avios. British Airways is partners with many different airline frequent flyer programs; following are the members of Oneworld Alliance as well as non-alliance partners. British Airways has peak and off-peak dates published every year. Not all airlines or flights have all classes of service. Beware of domestic “first class” flights that are not worth the price! Compared to 7,500 Avios in economy, for example, 30,000 Avios for a short American Airlines flight in first class is probably not worth it (this looks to be corrected to business class pricing in 2017). In contrast, some of the coolest Avios awards are for short first or business class flights that grant you access to incredible airline lounges. 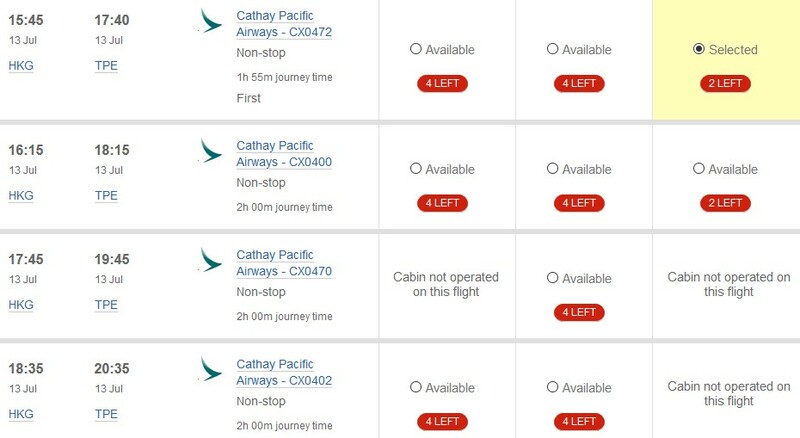 This may be the cheapest way to experience Cathay Pacific’s The Wing in Hong Kong or the Qantas International First Lounge in Sydney. Hot Tip: Starting with flights in January 2017, American Airlines is realigning fare codes so many domestic “first class” flights are treated as business class for Avios award tickets. They now cost much less! This does not apply to 3-cabin aircraft (first, business, economy) such as those flying New York to Los Angeles or San Francisco. The British Airways Reward Flight Saver can save you cash on British Airways Europe flights and Comair flights. Your account must have earned Avios in the past 12 months to be eligible for Reward Flight Saver. With Reward Flight Saver, award flights on British Airways within Europe and Comair in Africa are charged reduced, flat fees. This is in lieu of other taxes and surcharges. Award flight saver is automatically applied on qualifying itineraries. British Airways and some partner flights may have several payment options that allow you to use a combination of Avios and cash. If you want to use fewer Avios or don’t have enough, you can choose an option that includes more cash. British Airways Avios and cash gives you options to save Avios or save cash. Extremely high fees are added to the Avios award price of many British Airways flights. Exceptions are flights within Europe that qualify for Reward Flight Saver. It is not unheard for the cash component of a British Airways award redemption to be as much as directly buying a cash ticket! The fees on trans-Atlantic flights are especially shocking. With the demise of airberlin, it is hard to cross the Atlantic and still beat the fees. Consider Aer Lingus, or transfer your Avios to Iberia Plus and book Iberia flights. Bottom Line: As a general rule of thumb, short-distance, nonstop flights on partner airlines offer the best Avios value. Hot Tip: Be cautious searching for awards directly on other airline partner websites. Some awards may only be available to their own members, not to partners. For American Airlines, you can only use Avios to book what American shows as saver awards, not anytime awards. Awards are available up to 355 days before departure, and there are no award holds or waitlists. Hot Tip: British Airways can book partner awards up to 355 days before departure, but American Airlines is only 330. With British Airways, you can access awards weeks before American Airlines members can! Start at britishairways.com My Executive Club and search using Book with Avios. This will search partner flights in addition to British Airways flights. 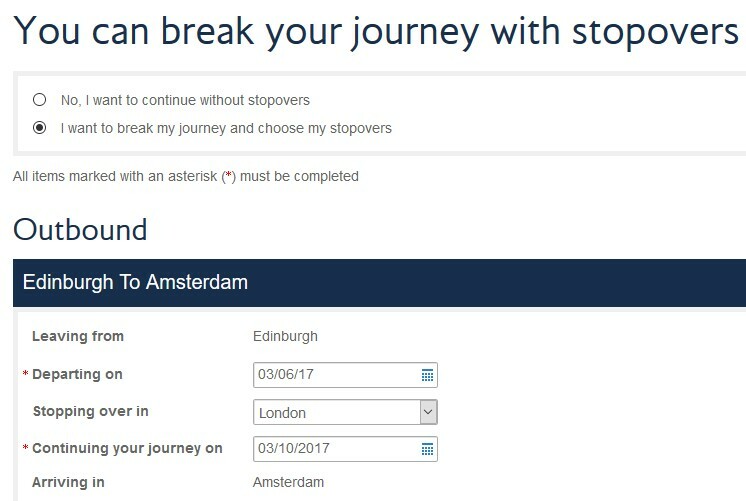 Searching British Airways rewards flights, select no stopover unless you want to visit London. Even if you can’t find an award on the website, the good news is that if an award is available, you can call in to have British Airways agents book it! Ask the agent to waive the $25 phone booking fee since the flight is unavailable online. They will usually do so if you ask. Bottom Line: Many award flights are available online. If not, call to book and ask to waive the $25 booking fee since it is not available online! When flying British Airways, you have the option of a free stopover in London. Your London stopover can be a few days or even several months. Free stopover pricing is different from other Avios awards. The whole stopover trip is priced by the distance as if it were 1 flight, rather than pricing each segment separately. Bottom Line: To minimize fees, the best London stopover value is between two UK or European cities near to London rather than long-haul flights. You can form a British Airways Executive Club Household Account. This means you and up to 7 people at the same address can become a Household to pool Avios. Awards are deducted proportionally from the Household common pool of Avios, and each household member earns Avios and British Airways status on their own. 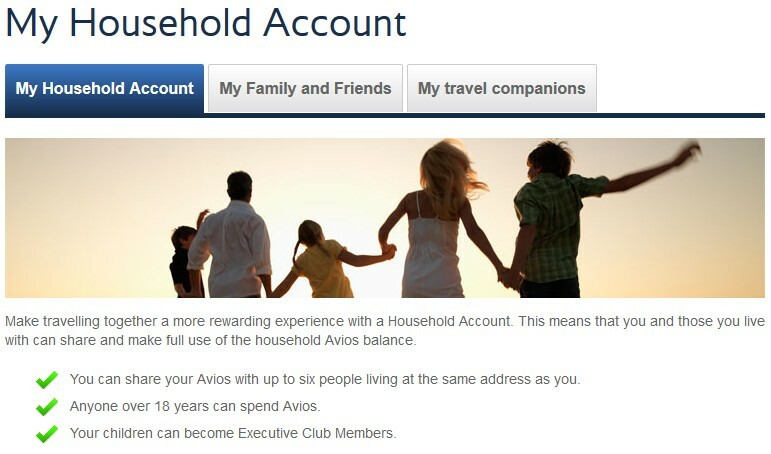 A British Airways Executive Club Household Account is useful for families to pool their Avios. The key limitation is that once you are in a Household, you can only redeem Avios for members of the Household (same address) or up to 5 Family and Friends (different address). Family and Friends have their own Avios which are not pooled with the Household. Any individual must stay on the Family and Friends list for at least 6 months. Without a Household account, British Airways charges huge fees to transfer Avios to another member (Gold members can transfer for free). The maximum you can transfer in a year is 162,000 Avios, and those are capped at 27,000 Avios per recipient. At $290 per 27,000 Avios transfer, that is absurd! Avios award tickets have some of the lowest booking fees among major airlines. There are no last minute ticketing fees! In contrast, American Airlines charges $75 for bookings within 21 days. You may be able to book the same American Airlines flight with Avios and avoid the fee. Change or cancellation is relatively low: $55. If the cash portion of your Avios award ticket is less than $55, then you only forfeit the cash amount you paid. You don’t pay the full $55 unless you ticket’s fees were $55 or more. Note that the phone fee is an extra $25 if you don’t change or cancel online. Hot Tip: A U.S. domestic nonstop on American Airlines is only charged $5.60 taxes. If you later cancel, you only lose $5.60…a small price to pay for flexibility! See our Best Ways to Redeem Iberia Plus Avios for a detailed look at Iberia. In 2010, Spanish airline Iberia Airlines merged with British Airways to give you another excellent way to avoid British Airway’s fuel surcharges. You can transfer American Express Membership Rewards points to Iberia, and you can also transfer Chase Ultimate Rewards points to British Airways and then to Iberia. If you want to transfer your miles from BA to Iberia, sign up for an Iberia Plus account. To transfer, your Iberia account must be at least 90 days old and must have had points activity. There are various ways to earn Iberia Avios, such as Amex transfer. After 90 days from Iberia account opening, log in to your British Airways Executive Club account, click on “Manage My Account,” and select “Combine My Avios” from the drop down and then again on the next page. Select Iberia Plus from the list of programs and enter your Iberia Plus number and pin. From British Airways to Iberia, select Iberia Plus. Please note that redemption restrictions are subject to change. This article will be updated periodically to reflect any changes to British Airways redemptions. Now you know some of the best ways to use British Airways Avios that we would recommend. To get the best value out of British Airways Avios, look into redeeming them with British Airways’ partner airlines. Short-haul flights in the U.S. on American and Alaska tend to be some of the best redemptions available. Luxury travelers can experience the world’s premier airline lounges such as Cathay Pacific and Qantas for low prices. Avoid British Airways’ ridiculously high taxes and fuel surcharges by booking flights on partner airlines. British Airways and partner airlines fly all over the world. To explore specific locations, use the interactive map. Does British Airways have a branded credit card? You can get the British Airways Visa Signature® Card to earn more Avios (3x per dollar on BA flights) and some additional benefits to make your experience even better. The British Airways Visa has a great big spend benefit: a companion ticket to be used for your significant other or friend to take a trip with you for free! What other credit cards can I use to earn Avios? British Airways partners with 3 different reward points programs: Ultimate Rewards and Membership Rewards. Any of the travel rewards cards that earn points in these programs will be able to transfer points to BA, although at different rates. The recommended cards to use would be the Chase Sapphire Preferred® Card or the American Express® Gold Card. Note that you need to have one of the Chase travel rewards cards (Sapphire Preferred, Sapphire Reserve, Ink Business Preferred) in order to transfer point to BA. How do I contact British Airways? You may contact British Airways by dialing 1-800-452-1201 daily from within the U.S. between 7am – 11pm EST. What is British Airways' frequent flier program? British Airways frequent flyer program is called the Executive Club. The Executive Club uses what they call “Avios” instead of points or miles. BA Executive Club Tier points allow people to reach Executive Club membership tiers that offer greater benefits. They are earned on British Airways flights, subsidiaries, and Oneworld airline partners. 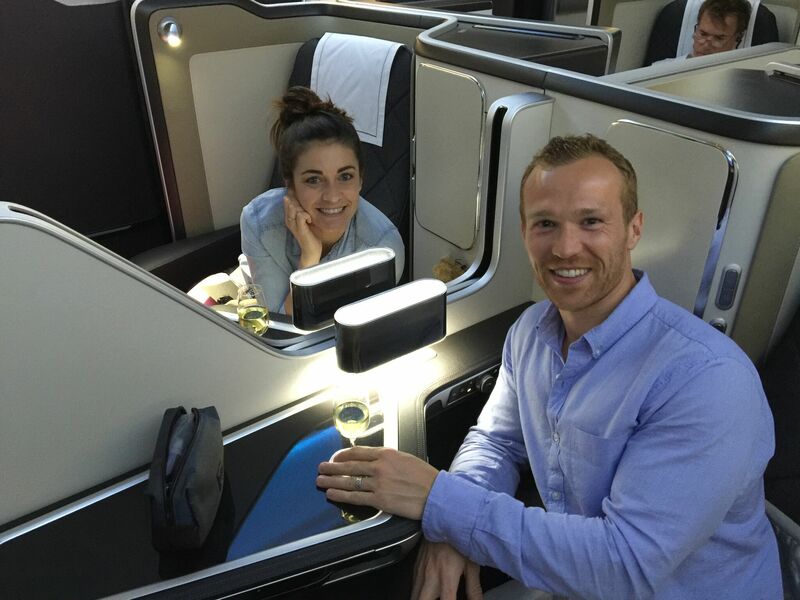 What is British Airways World Traveler class? World Traveler class is the name for British Airways’ full-service economy class seats on flights going outside Europe. 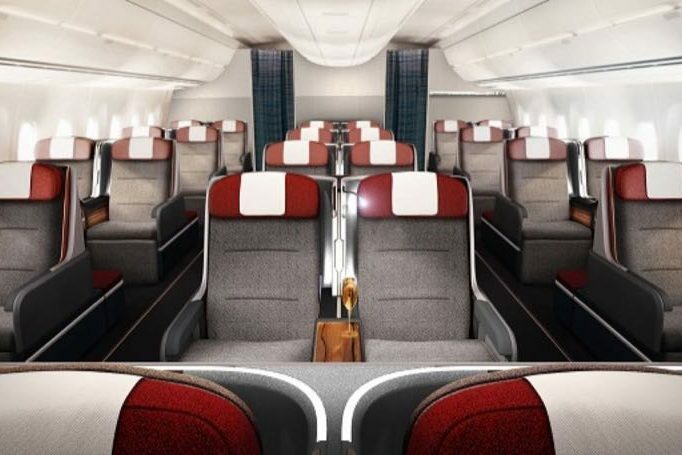 These seats are in contrast to World Traveler Plus, which is the airline’s premium economy service offering a few extra bonuses like wider seats and more legroom. Which alliance is British Airways a part of? British Airways is a part of the Oneworld Alliance. Are British Airways and Qantas partners? Yes. Both British Airways and Qantas are a part of the Oneworld Alliance. Qantas is sometimes a great site to use to find award availability on Qantas or other partner airlines, since the British Airways site does not always show partner award availability. Are British Airways and American Airlines partners? Yes. Like Qantas, American Airlines and British Airways are a part of the Oneworld Alliance. American Airlines is another option if you’re searching for award ticket availability to redeem with Avios. Are British Airways and United Airlines partners? No. United Airlines is a part of the Star Alliance and British Airways is a part of the Oneworld Alliance. Are British Airways flights refundable? The aircraft is changed or the flight is disrupted and British Airways cannot find you a seat on this new aircraft that you’re happy with. You pay to upgrade your seat, but do not wish to also pay for seat reselection in the cabin to which you upgrade. Refunds are not made if you cancel your flight, upgrades are made by British Airways, you selected the exit row seat and are not eligible to sit there, you cannot find an equivalent seat on a flight to which you change, or you booked on another carrier and change your flight. While this is an excellent post the complexities of Avios is baffeling! Could you please give more info on combining BA and Iberia accounts, such as can you still have a household account if moving Iberia Avios into a BA account? or can you transfer all the BA Avios in a household account into one person’s Iberia account? advantages or major disadvantages of doing this? Lots of good ideas here, but Air Berlin went out of business about seven months ago. You probably want to delete all references to that carrier. Fantastic site and info. However I do not see any comments flying on BA points out ov Vancouver, Canada. I have in the past used my RBC Avion card to accumulate points and then move them to BA when they have a 50% bonus. Info on flights out of YVR or SEA to asia or South Pacific using BA points would be helpful. Has this article been updated? I see surcharges for LAX to Tokyo cost additional $265 via JAL and LAX to Dublin with Air Lungus is around $319. Just trying to figure best way to redeem Avios points these days. ITA Flight Matrix is showing the LAX-NRT route in JAL economy and business class one-way is $118 in taxes and fees. The LAX-DUB on Aer Lingus in economy and business one-way is $35. Really the best ways!!! Great post. I would like to fly Chicago-Dublin using BA avios transferred from my Chase Saphire Preferred card. When doing this, to get an off-peak price, do I look at the Aer Lingus peak/off-peak schedule or BA schedule? Also, as a sanity check, Chicago (ORD) to Dublin (DUB) is considered zone 5 and should be 26,000 avios (round trip) during off-peak times, correct? Keep in mind that Aer Lingus has their own off-peak/peak schedule you must refer to. You are correct in that it will cost 26,000 Avios round-trip during off-peak times in Zone 5. How do you redeem the avios points for flights on partner airlines? Do I use the British Airways portal? I’m trying to book a flight on AA that shows up on the AA portal, but not on the BA portal. Any ideas? If that’s the case, it enormous jump and how can it be justified for the customers? If I have spent my avios before this I’d get 4 times more value, that’s outrageous! The award chart you’re looking at is for multi-carrier flights involving 2 or more oneworld partners. Hi there, I tried to calculate the Avios needed for an Los Angeles-Tokyo flight, but it is showing up as 75000 Avios instead of the 50000 mentioned. Can you advise? Thank you. 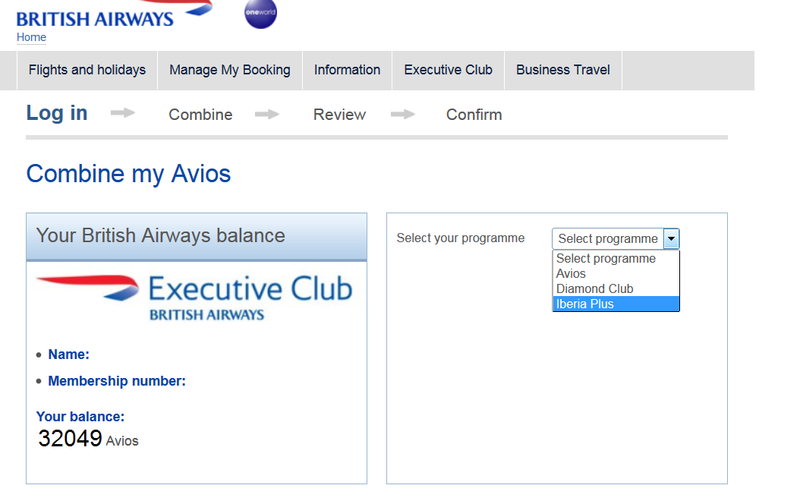 Unfortunately, British Airways Avios seems to devalue their miles frequently. We are in the process of updating this post to reflect the new mileage prices. Until then, please follow what the British Airways Reward Calculator says. Also, if you’re thinking of transferring points with Chase Ultimate Rewards to British Airways Avios, please consider transferring to Virgin Atlantic. You can fly on ANA from Los Angeles to Tokyo round-trip for 100,000 miles in business class or 110,000 miles in first class! If you’re thinking of transferring points with American Express, please consider transferring to ANA or Virgin Atlantic. They have much better mileage costs than British Airways for this redemption. Is Qatar still flying the DOH-DXB route for 18,000 Avios? Thought that route was cut due to political tensions since last year. Hey Rachel! Thanks for reading. You bring up a great point. We’ve updated our post accordingly. You’ll be able to try out the Al Safwa First Class Lounge for the DOH-KWI flight to Kuwait City for only 18,000 Avios and 50 Euros. That’s another alternative if you’re interested in the first class lounge. Thanks again! Lots of great info and options for Avios holders to digest/consider for award redemptions. Great post, thanks! Thanks for reading! We’ve updated the numbers to reflect that. Thanks again! We’ve removed that method and updated our post accordingly. Thank you so much! Please update this article to show that not all flights on Malaysian are 4,500 points. KUL-DPS for example is 10k Avios. Thanks for the tip! We’ve updated this article accordingly.